Where our BBQ has a purpose. 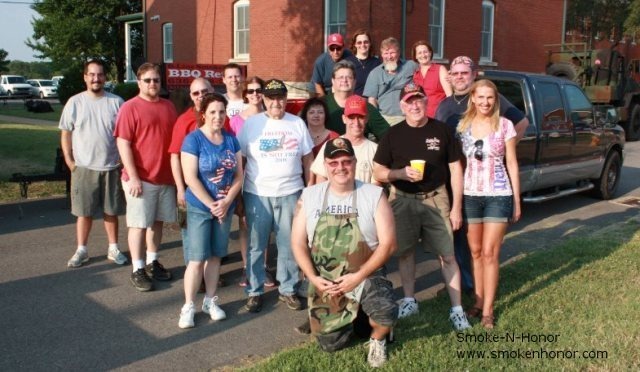 We have a passion for BBQ and honoring those in the US Military, Christian Ministries, and Charities. So we’ve brought those together to form Smoke-N-Honor. We want to BBQ for, and help these organizations. We want to honor them for their service or to help them with fund raising events. We want to offer our talents with Slow Smoked BBQ. This is cost based organization partnering with these groups for their benefit. The activities and organizations we support are primarily, but not limited to, the St. Louis Metro/Eastern Missouri/Western Illinois area. If you think you’re too far away drop us a line and let’s chat.